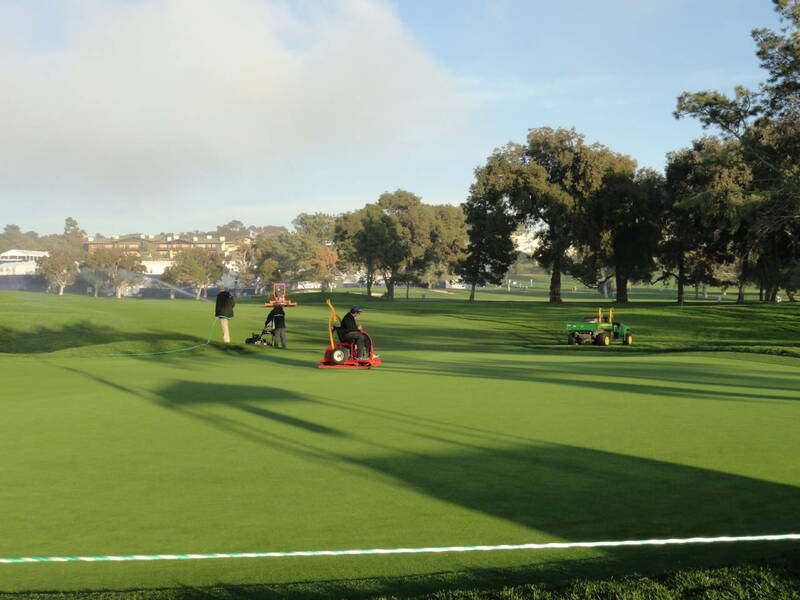 ← FIO Course Conditions: Shades of the ’08 U.S. Open at Torrey? 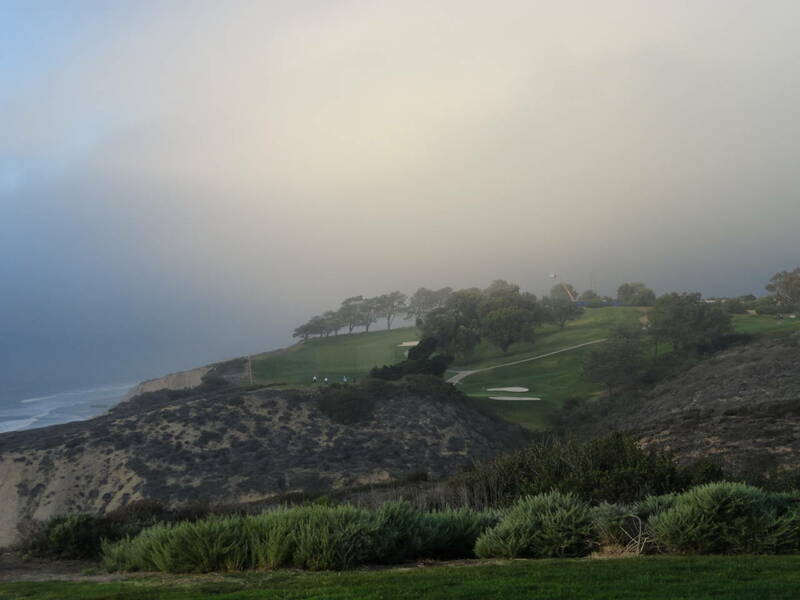 This was the ominous end to the day Wednesday, a scene that caused many to recall last year’s fogged out Saturday round. Hopefully we won’t see a repeat. 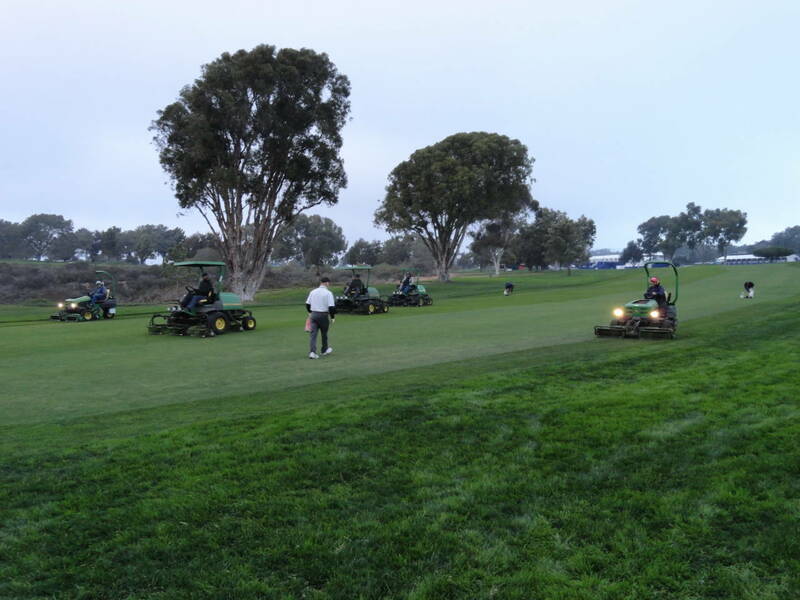 Below are some photos taken late Wednesday of the maintenance crew prepping the course for play today. You’re going to be reading a lot more about this process on Friday. I’ll be on the grounds all day today filling my notebook and getting you some unique takes on the tournament. Have fun following Day One. 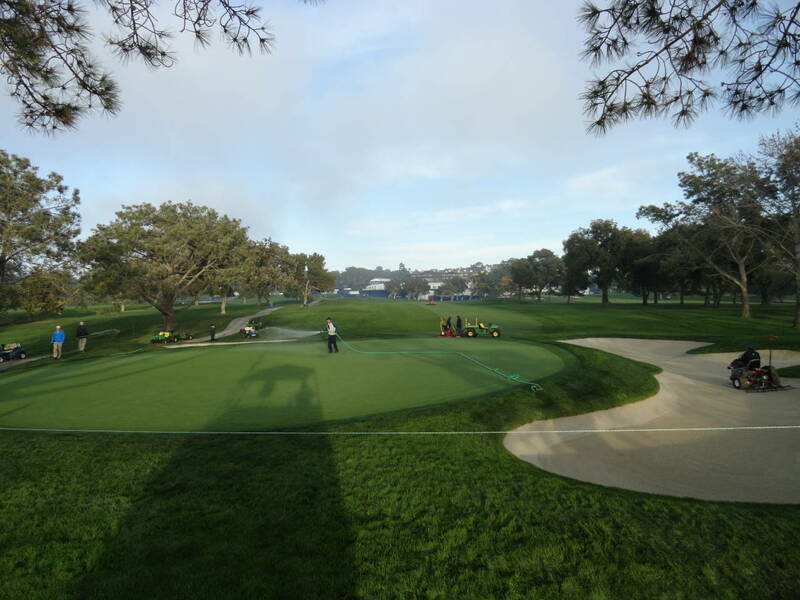 This entry was tagged Farmers Insurance Open, maintenance, photos, Torrey Pines. Bookmark the permalink.